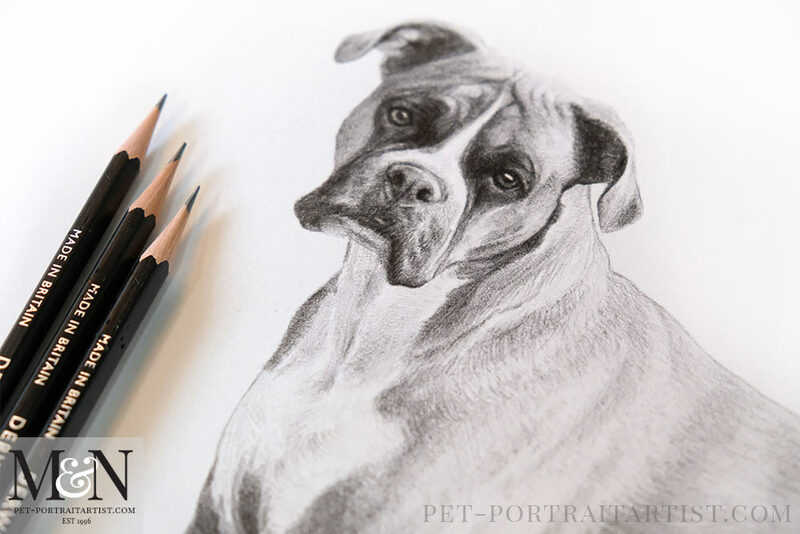 Welcome to my latest Boxer dog drawing of the gorgeous Lola. 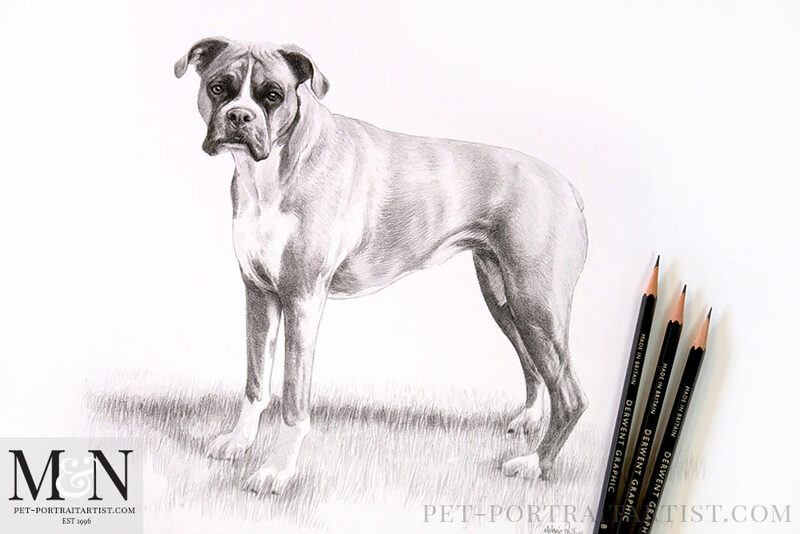 Linda emailed me a few months ago and asked if I would be able to get a pencil drawing completed and framed for her husbands birthday in November. The timing was going to be close. Linda told her husband John that something exciting was being made for him. She said that it would be ready soon. Thankfully I was able to was complete the drawing only a few days after the special day. Read the testimonials email below from Linda. 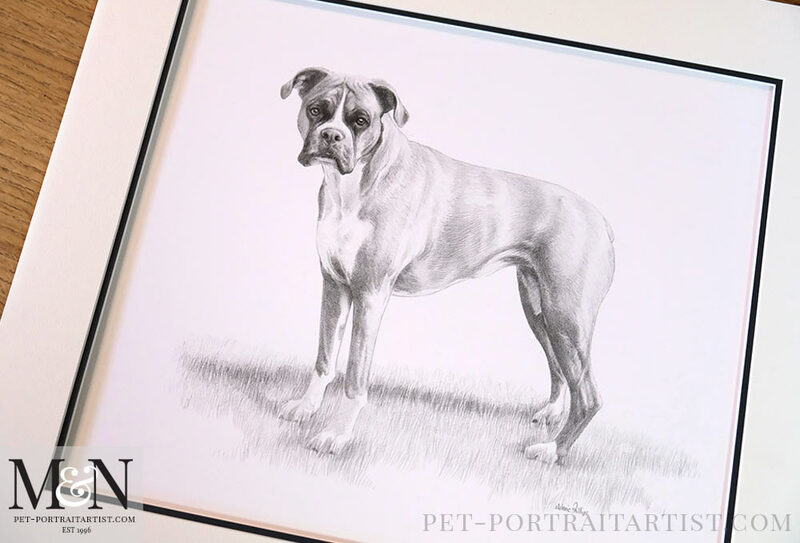 Lola’s portrait was 16 x 12 size. However, when starting to draw I felt it would be much better with a little more height and less width so the overall size was 15 x 13 inches. Lola was actually standing on decking, however we knew that the odd angles and lines of the decking background would have been distracting. So we opted to use grass to stand Lola on and it worked really well. I have added some photos of the portrait before framing below. Just to let you know that Lola arrived safely yesterday – thank you! It is absolutely amazing. John was delighted with it! We both became quite emotional when we saw her again…. 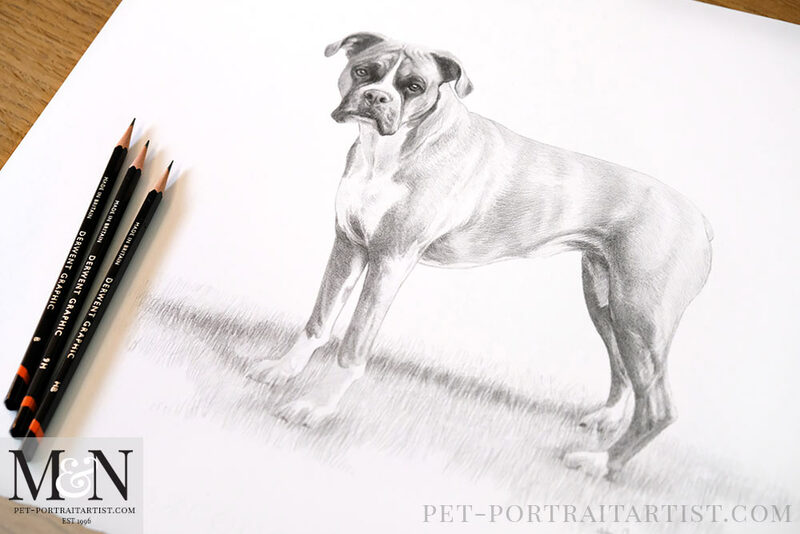 It is so life like, you have captured her so well, even her funny old back legs – and her feet!!! Every detail is there. I know the whole family are going to love it too. Thank you so much again Melanie – we couldn’t be happier!! Just wanted to wish you and your family a lovely Christmas and a very Happy New Year. 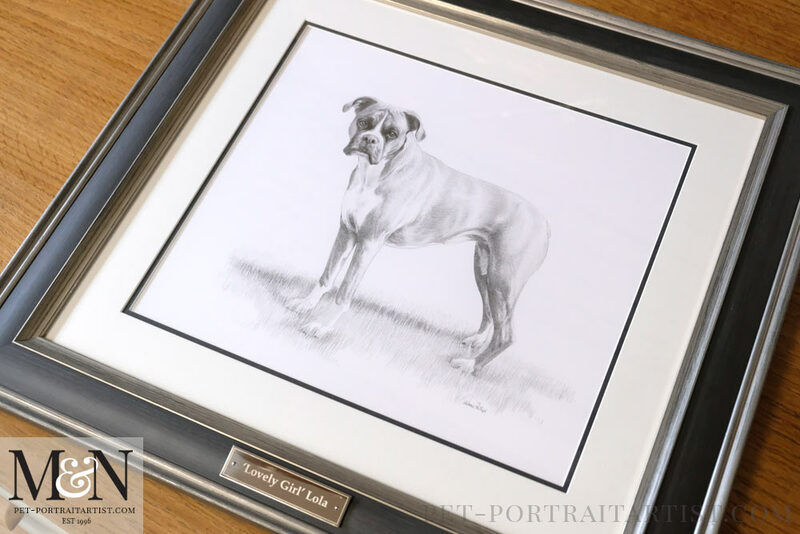 I have attached a picture of our lovely Lola in pride of place in our lounge, and because of you amazing skill, she will still be with us! Everyone loves it, so thank you again Melanie. 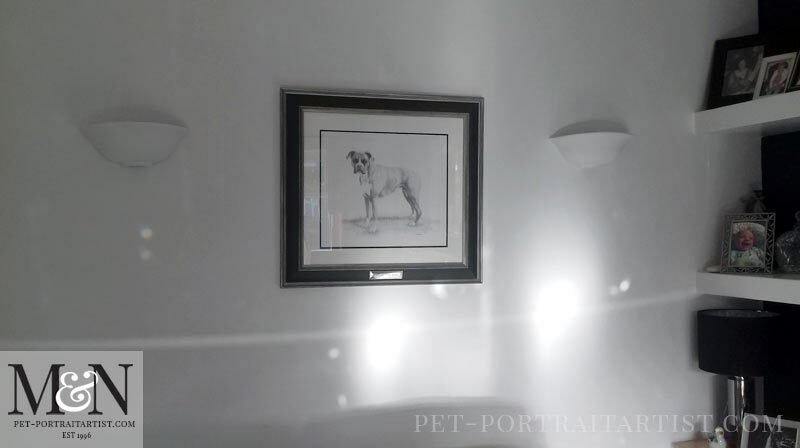 Here is a photo of the portrait when it was mounted with a double mount of Hayseed and charcoal grey. The colour and tone combination works really well for Lola. 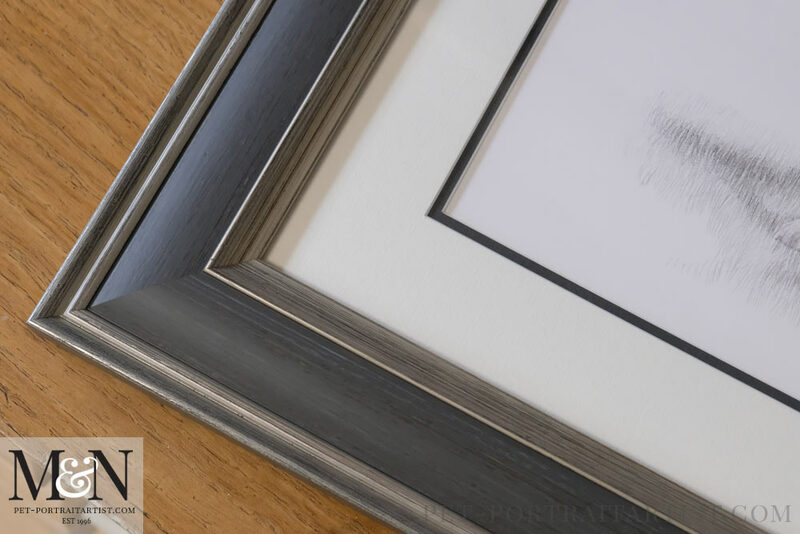 We agreed that our Madison frame would work really well for Lola’s portrait. It is so stunning, it is one of our favourites. 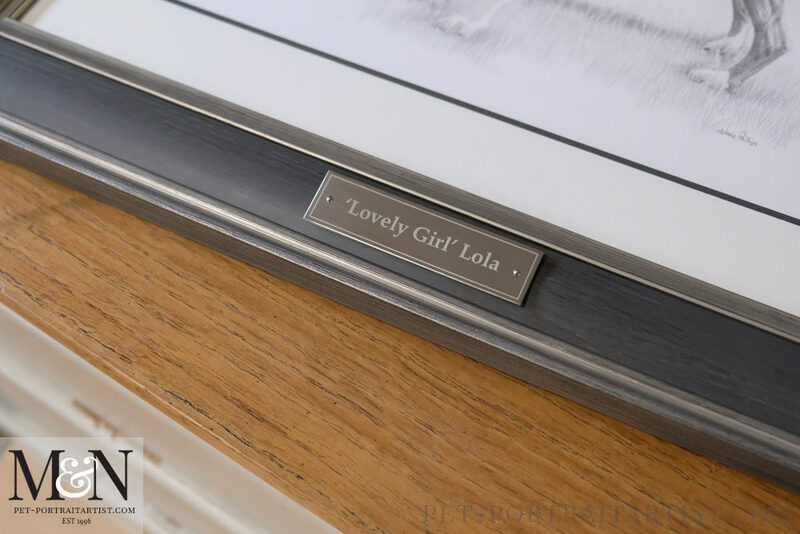 Linda also ordered an engraved mirrored silver plaque too with the words ‘Lovely Girl’ Lola on, which really finished everything off beautifully. 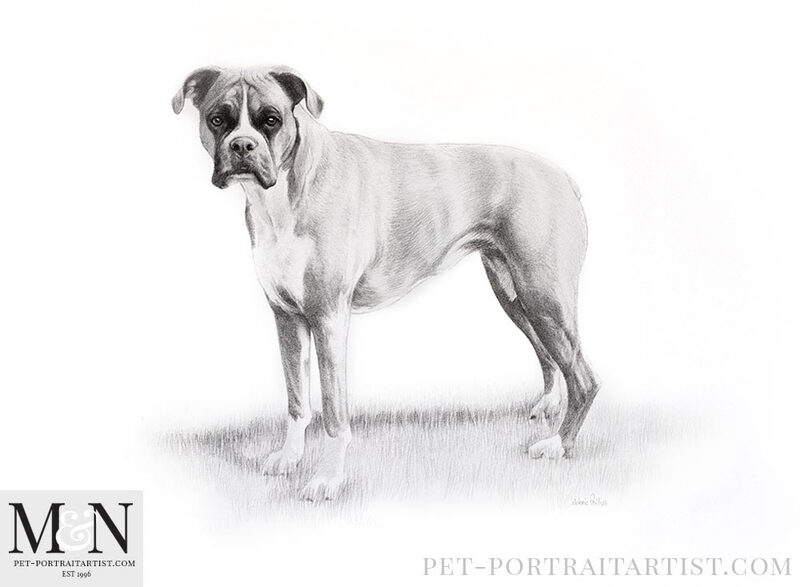 I hope you like the finished portrait!